Today, we woke up in the rain at 5:00am, ate breakfast, and trekked to Monjongpdera where we stopped for lunch. We took refuge from the rain in a small, dark shelter and waited close to an hour for everyone to arrive. We continued to Paiju (in the rain) and quickly changed out of our wet clothes. 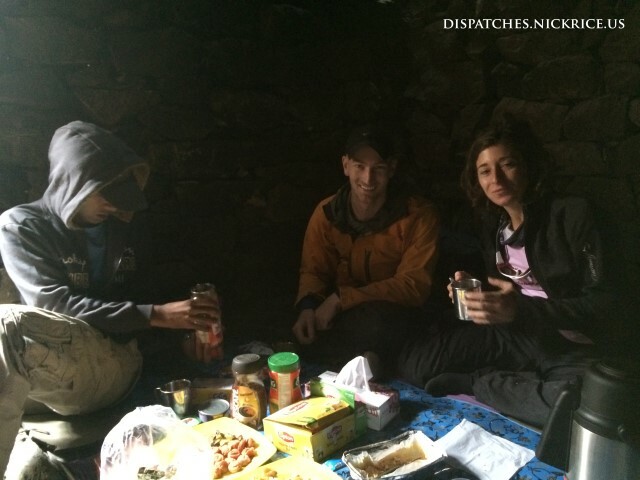 We said goodbye to two of our porters, had dinner, and then went to bed early.